Temperatures are expected to top out around 96 degree today, with a peak heat index of more than 100 degrees. 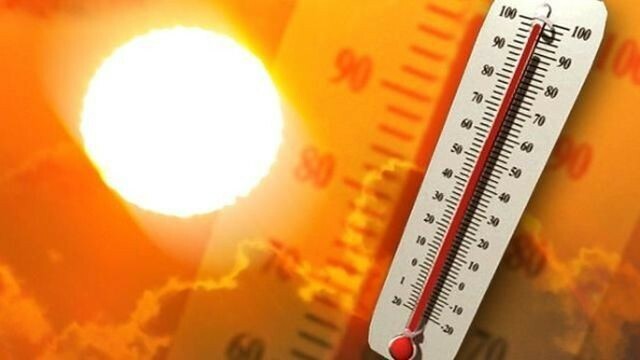 The Camden County Health Office has issued a heat alert for Saturday in Cherry Hill Township. The latest forecasts have temperatures peaking around 96 degrees today with a peat heat index of more than 100 degrees. With a heat alert in effect, municipalities are required to open designated cool centers in their towns. In Cherry Hill, the Cherry Hill Public Library. Carman Tilelli Community Center and Cherry Hill Mall are the township’s designated cooling centers. The community center and library are open from 9 a.m. to 5 p.m. The mall is open 10 a.m. to 10 p.m. The National Weather Service has issued an Excessive Heat Watch from 11 a.m. Saturday through 6 p.m. on Monday. Heat index values are expected to be from 100 to 105 degrees on each of those three days. The Camden County Department of Health and Human Services released the following tips for residents to avoid heat-related illnesses. The Camden County Freeholder Board is distributing free fans to senior citizens age 60 and older with an income of $25,000 or less. To request a fan or for more information, call the Camden County Division of Senior Services at (856) 858–3220.